Feeling tense and depleted at the end of a day doesn’t have to be the norm. Try stretching (in a subtle or deliberate way) every hour, on the hour – it’s a great way to release stress and ground yourself. Stretching relaxes your muscles and increases blood flow throughout your body. 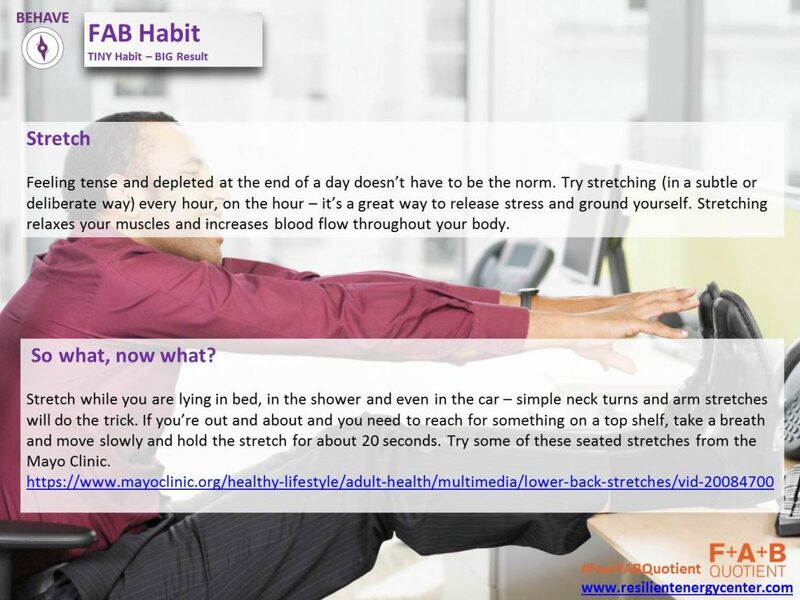 Stretch while you are lying in bed, in the shower and even in the car – simple neck turns and arm stretches will do the trick. If you’re out and about and you need to reach for something on a top shelf, take a breath and move slowly and hold the stretch for about 20 seconds. Try some of these seated stretches from the Mayo Clinic. We may think our social interactions have everything to do with our heart, but our brain plays a significant role … and you can encourage positive relationships by the way we think. Can you rewrite your future? Yes. Here is what is on the menu of those people who enjoy long and healthy lives and what you can do, TODAY to potentially join the “100 Club” of centenarians TOMORROW. Why not choose one and create a new tiny habit? In Okinawa, also known as “land of the immortals”, the folk follow a principle called “Hara hatchu bu” which means to eat until you are 8 out of 10 full. Sadly, many of us eat until we are ‘stuffed’ and experience discomfort, fatigue and even heartburn. Studies of centenarians suggest that social connections and finding meaning in life are both crucial to longevity. How? Bring in the pleasure principle and eat more mindfully and with gratitude. Slow down. Breathe between mouthfuls. Savour each mouthful. Don’t eat while doing something else such as watching television. Take pleasure in preparing more home-cooked meals from whole ingredients instead of buying processed foods and meals. Approach time in the kitchen as an opportunity to de-stress and be creative. 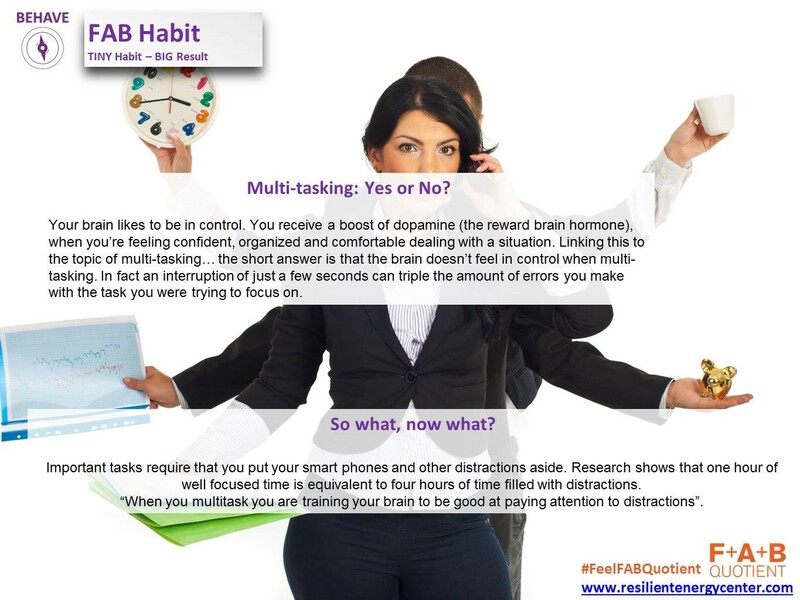 An example of a tiny habit to reduce brain fog: Train your brain to deal with chaos. Neuroscience research shows that the regular practice of mindfulness can promote resilience and productivity at work (and in life). There’s no need to head off to a silent retreat for a week. Simply start with 5 minutes as you wake up and have your morning tea to sit in stillness and start harnessing the benefits of mindfulness. This is a game changer. To hard-wire this as a habit takes a little time and effort, but once your gratitude neurons fire together, they then wire together… forever. If you consciously express gratitude (verbally or non verbally) a few times per day, your body will produce less of the ageing stress hormone, cortisol! To kick-start this habit … link your gratitude thoughts to existing habits; for example, as your turn your shower tap, think of one or two moments of your day that you’re grateful for. Or as you put toothpaste on your toothbrush, do the same. At least you’ll be doing it twice a day …everyday! 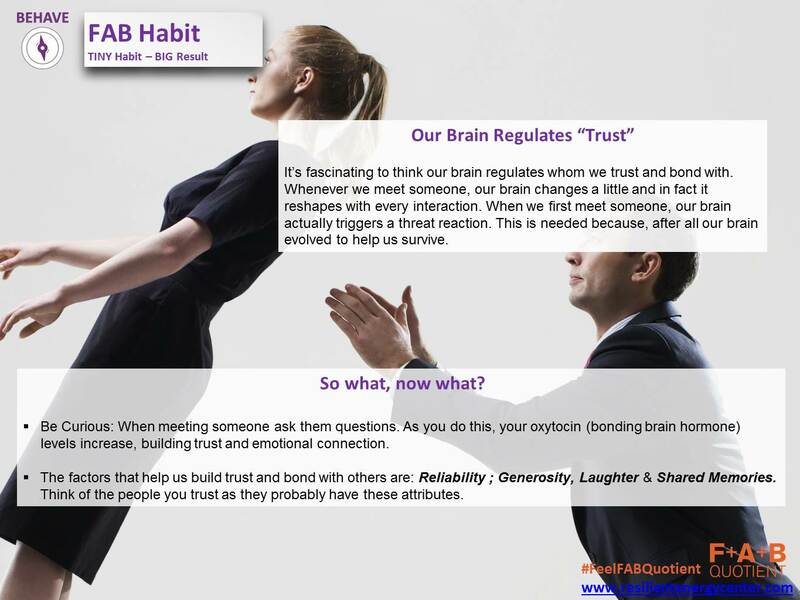 What one thing will you do differently from today to increase your FAB Quotient™ to stand a chance to shift from being stressed and tired, living in a state of brain fog to being energised and brain fit, driving a sense of feeling youthful and playful, a magnificent feeling of juvenescence? STOP Sleep Debt … Power Nap! Medical evidence suggests that for optimum health and function, the average adult should get seven to nine hours of sleep daily. Although each hour of lost slumber goes into the health debit column, we don’t get any monthly reminders that we’ve fallen in arrears. In fact, the greater the sleep debt, the less capable we are of recognizing it: Once sleep deprivation — with its fuzzy-headedness, irritability, and fatigue — has us in its sway, we can hardly recall what it’s like to be fully rested. And as the sleep debt mounts, the health consequences increase, putting us at growing risk for weight gain, diabetes, heart disease, stroke, and memory loss. Joni and Celynn give us some great advice on how to using power napping a technique to get out of sleep debt! Try the 30 days challenge from Tom Rath, author of Eat, Move, Sleep. It is a simple way of introducing small changes (some will already be familiar to you) that will create a healthier and happier YOU. Some tips are as simple as getting enough sleep to eating the healthiest item on your plate first! Take your future wellbeing into your hands and make a change today.